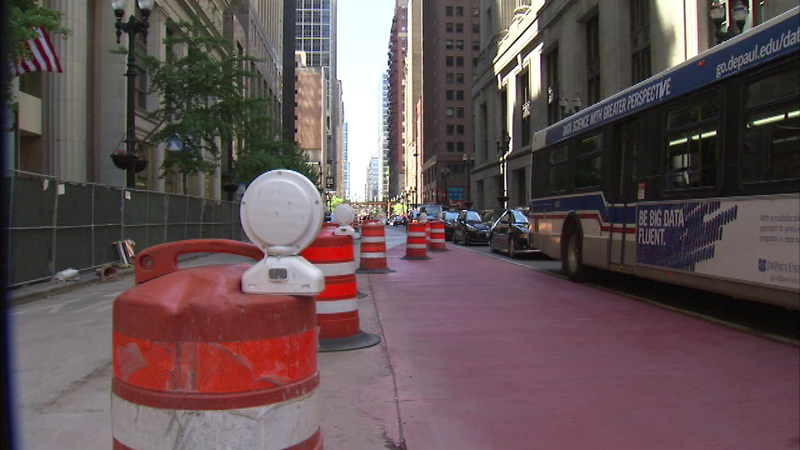 CHICAGO (WLS) -- More lane closures in Chicago's Loop begin Tuesday, as part of the Loop Link transit project. Closures in place on Washington Street now will be extended from Clark to State Street. Washington will be temporarily reduced to two lanes from Wacker to State. Drivers will still be able to access alleys and parking lots in the construction zone, Chicago Department of Transportation officials said. The goal of the Loop Link project is to create bus-only lanes, improve traffic flow and ease congestion.